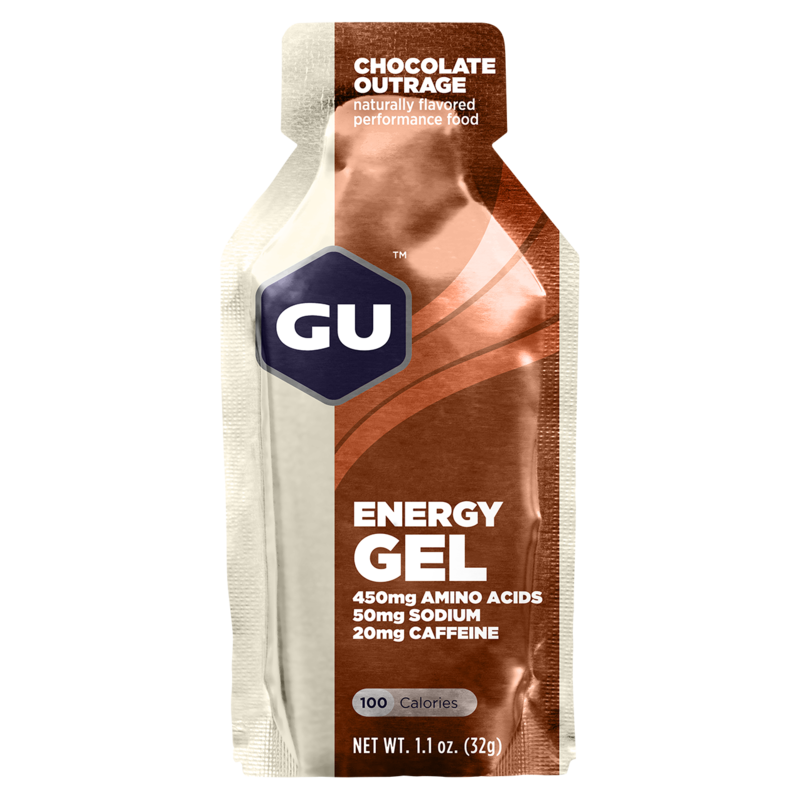 At the end of the Vermont City Marathon, I had one package of Chocolate Outrage GU left in my fanny pack. It stayed there for a couple of weeks until, one morning, Tessa decided to head out for a bicycle ride. As she thought she would be out for a while, I offered her the GU, which she readily accepted and stashed in the frame bag on her bike. And there it stayed until the morning of the Boilermaker. Almost as an afterthought, as we were getting in the car to leave for the race, I asked her if she still had it. She did, so I got it out of her bag and put it back in my fanny pack. Though I didn’t think I’d need it, I thought I would bring it just in case. In the car on the way, Team Love Nugget (in the form of my daughters Carolyn and Hannah) jokingly started to chastise me once again about the fanny pack. “It’s just not cool, Dad,” they repeated over and over again, to the point that I decided I would go minimal for the race, and ditch the pack, my phone, my water bottle–the whole kit and kaboodle. But as they dropped me off at the start line, I grabbed the gel packet from my pack and stuffed it in my pocket. 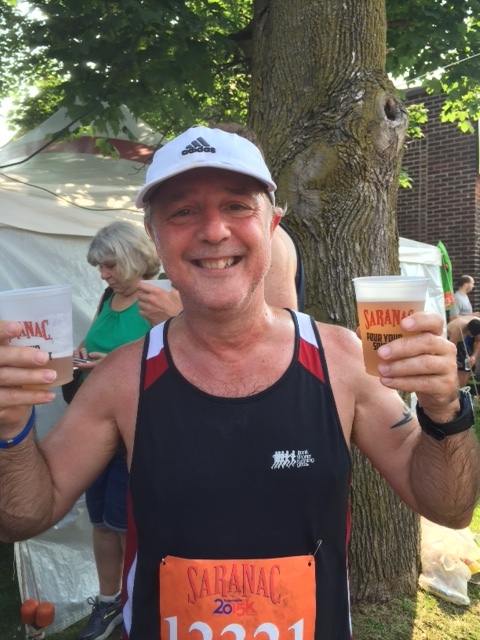 Given my successes during the first half of the year, I had high hopes for breaking 80 minutes for the first time at this year’s Boilermaker. My philosophy to prepare was quality, not quantity. Rather than run high-mileage weeks after Burlington, as I had done two years ago, I opted for 3-4 quality workouts a week–at least two hard workouts, either 5-6 mile tempo or interval runs, and one 7-9 mile long run. With hills. Plenty of hills. Though I did worry a little about whether this would be enough, I arrived at the starting line with that same kind of quiet confidence that I had in Burlington. All I needed was a good start, which as I have written about before, is very hard to do given the narrowness of Culver Avenue and its inability to accommodate 11,000 runners comfortably during the first mile. But I dodged and shuffled and weaved and sidestepped and somehow hit a good, steady 8:30 min/mile pace by the time Culver opened out onto the Parkway. Now I had some space to move, and everything was feeling great by the time I stepped over the 5K mat: the heat was manageable, I was moving comfortably and my 26:32 split time was right on the money. It was time to tackle the Golf Course Hill, but unlike previous years, rather than attack it, I chose to keep the same, steady pace that had got me this far. It was the second best decision I made that day. At the top, I was just 13 seconds off my 8:30 pace, an easy deficit to make up with the downhill section that was to come. But just as I was mentally celebrating conquering the hill, I was bought back to reality with my epic fail at the next water station. Being a righty, I like to grab water from the right side, but at this water stop, the right side was too crowded for me to move over. I had no choice but to go to my left and grab a cup with my less dextrous apendage. What happened next was right out of slapstick movie played in slow motion. The first handoff resulted in a dropped cup; the second produced a similar result. Now the pressure was on for a successful transfer for number three, but I blew it completely and weakly slapped the third volunteer’s hand. The cup hit the deck, and I was completely and totally humiliated. I swear I could hear the good-natured laughter from the wonderful volunteers at the station following me all the way down the hill. Back on the Parkway, it was time to get serious again. I noticed the first subtle signs of fatigue, and thinking it was a hydration issue, I stopped by the side of the next water station and took in a full cup of water. But as the 5-mile marker approached, I still felt like I was losing energy, and I was beginning to hear those little voices of defeat in my head. It was then I remembered the chocolate GU in my pocket. Energy gels, for the uninitiated, look like a slightly bigger version of a ketchup packet. They contain glucose, caffeine and sodium in a form that has the consistency of ketchup and come in any flavor Willy Wonka could dream up. The theory is they are easy to swallow and digest so that your body can get a quick hit of sugar energy to keep you going during an endurance event. Except, try as I might, after a few miles of running, I have to choke those little suckers down, and this day was no exception. My much traveled package of Chocolate Outrage GU fought me all the way, but finally I finished it and prayed for it to quickly do its job. Now it was time to take on the raging slab that is Burrstone Road. If you talk to a hundred Boilermaker runners, I am sure ninety-five of them will tell you that the hardest part of the course is the Golf Course Hill. But the remaining five, myself included, will probably point to the stretch of road between Faxton Hospital and Utica College as being the toughest slog of the morning. For one thing, the road is bare–no shade, all concrete, dead straight and a slight elevation just to piss you off. Then there is the timing, coming two-thirds of the way into the course. The sun is beating, the heat is starting to rise, the crowds are thin and energy levels are starting to go down. To me, this is where the race is won or lost. But with the chocolate GU kicking in, I was getting my mojo back, and I could feel myself getting stronger as I ran under the enormous American flag that the Utica Fire Department raises to mark the 10K split. As I turned the corner onto Champlin Avenue, I knew that my goal was within reach. Even though I was still two miles out, I also knew that the next mile was all downhill. I couldn’t let my foot off the gas just yet, but even at my slowest pace, an 80-minute finish was in the bag. Before I knew it, I was making the right-hand turn onto Whitesboro Street and cruising down the last mile. Onto Court Street, and there was Team Love Nugget inspiring me to push to the finish line for an incredible 77:04. And to think that I owed it all–well, maybe not ALL–to an unloved packet of chocolate GU. After the race, I started wondering about where this running thing was going, especially regarding my future at the Boilermaker. I won’t humblebrag here except to say that I am faster by almost half an hour since 2010, which means that, on average, I have recorded gains of 5 minutes every year. So, I wonder, what can I realistically expect next year and in the years to come? According to an article by Joe Henderson of Runner’s World, there is evidence to suggest that, regardless of age and injuries aside, runners can improve their times for up to ten years after they begin running. After that, performances tend to plateau and eventually decline as we get older. So could I shave another 20 minutes off my time before I reach 60? Could I actually come in under an hour? If I could, that could possibly even mean a finish in the top three of my age group. Time to choke down another GU and dare to dream. This entry was posted in The Flat-Footed Fox and tagged GU energy gels, Utica Boilermaker, Vermont City Marathon (Burlington). Bookmark the permalink.